As the communications industry moves to a cloud consumption model, optical networks must be more dynamic and flexible while providing reliable connectivity for massive bandwidth demands. The bottom line is that optical networking dynamics are changing. You may be wondering, “What can I, as a network provider, do about it? And, what equipment can I deploy to make the network more dynamic and flexible?” The answer can be summed up with a surprising, single word: OTN. Here are four new use cases for OTN in today’s network. As the communications industry moves to a cloud consumption model, optical networks must be more dynamic and flexible while providing reliable connectivity for massive bandwidth demands. 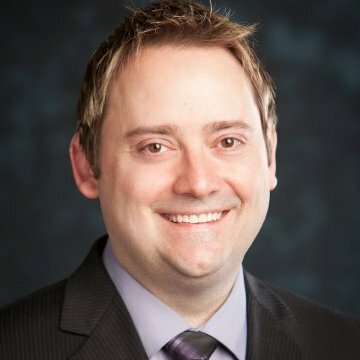 The bottom line is that optical networking dynamics are changing. The answer can be summed up with a surprising, single word: OTN. Looking for the ability to turn up services faster than the competition? Service providers can use OTN to enable service velocity. An OTN-switched architecture decouples the client from the line and separates service turn up from capacity turn up. On the line side, additional capacity can be added whenever fill levels reach planning thresholds, or depending upon the network architecture being used, excess capacity may already be deployed in the form of unused mesh restoration capacity. Either way, new services can be added quickly, making use of available line side capacity across the network without needing to dedicate a new wavelength between two points, like a traditional transponder based architecture. And, having the ability to quickly turn up services with OTN is a key building block for dynamic provisioning with SDN-based network control applications. The technology curve and adoption rate for new client interfaces historically has not moved at the same rate as the migration to higher capacity line ports. As line rates diverge from client rates, OTN can be used to more efficiently pack wavelengths in the network. The ODUflex rate within the OTN standard allows the right-sizing of bandwidth for a wide range of services carried across the network. ODUflex containers can be used to map services, such as FC400, more efficiently into OTN rather than dedicating a full 2.5G (ODU1) or 10G (ODU2) per service. Furthermore, OTN can carry Ethernet services across any distance, from metro to long-haul. It supports sub-rate Ethernet by flexibly mapping Ethernet into containers with a 1.25G bandwidth granularity. Service providers can rate limit the bandwidth on 10GE, 40GE, or 100GE clients per the SLA, and map the sub-rate Ethernet into an ODUflex payload. This opens the door to sell a 50G service on a 100GE port by mapping 50G of client Ethernet traffic into ODUflex and leaving 50G available for other services, rather than tying up 100G of bandwidth across the network for a 50G service as in transponder systems. And, once services are established, capacity can be adjusted up or down in-service, if and when customer bandwidth requirements change. Another way service providers can differentiate is by catering to special service requirements. Customer requirements for service level agreements, protection/restoration, and routing constraints can be guaranteed through use of OTN switching and control plane. Latency sensitive services can be routed based on lowest latency rather than shortest distance to provide latency guarantees for the primary path or even during restoration in the event of a failure. The OTN control plane can be used to differentiate between high and low priority customers, as well as to offer a number of different protection/restoration service levels, ranging from permanent connections for high priority services to pre-emptable low-priority services. Ciena’s OTN control plane can even optimize resources across VPN topologies to constrain them to a specific subset of resources, enabling Optical VPN connections for specific customers or service types. Furthermore, the OTN control plane allows the flexibility to assign weights to different links, designate nodes as transit sites, restrict nodes from path computation, and to define Shared Risk Link Groups (SRLG), so services can be established, protected, and restored according to specific SLAs and policies. The separation of client from line with an OTN switch not only enables service velocity, but it allows OTN to future proof the network from technology changes. If you are worried that new modulation schemes and line rates may strand infrastructure investments, then look to OTN to allow reuse of client cards and ports as new line cards are deployed. When line rates beyond 100G/200G are deployed or as flexible grid line interfaces are rolled out, all of the existing client resources and cards in the network can remain in place and the OTN switch can migrate them to the new line interfaces as they are installed. Transponder-based architectures do not allow this level of flexibility – when a transponder is deployed, fiber patches must be made for the new line interfaces, as well as all of the client traffic. Furthermore, OTN has built-in support for beyond 100G (B100G) rates with updates to the OTN standard that extend the line side interface to include a new, flexible n x 100G format called OTUCn. This enables OTN to future-proof the line side interface with direct support for scalability to capacities beyond 100G. OTN enables an easy way to tradeoff capacity vs. reach vs. spectrum for true network optimization. Line side programmability with new coherent interfaces allow service providers to change modulation to get more capacity (depending on the distance) or to increase reach (while trading off capacity). An OTN switch can move traffic around as adjustments are made on the line side to make efficient use of network resources. Furthermore, line side transport capacity can be shared across multiple client interfaces. Similarly, OTN provides future-proofing for the client side. As new client interfaces and rates are introduced, the existing line interfaces and ports can remain in place, and the OTN switch can groom the new client services into existing line ports. ODUflex can be used when new client rates, such as higher rate Fiber Channel or Video signals, are standardized that do not map directly into an OTN container such as ODU0, ODU1, ODU2, etc. Also, when FlexE client interfaces are deployed, the existing line cards do not become obsolete. They can work with the new cards that take advantage of the new client service types and mappings. OTN turns the network into a dynamic and programmable infrastructure; it enables the efficient use of network resources, and the flexibility to support new and changing traffic demands. 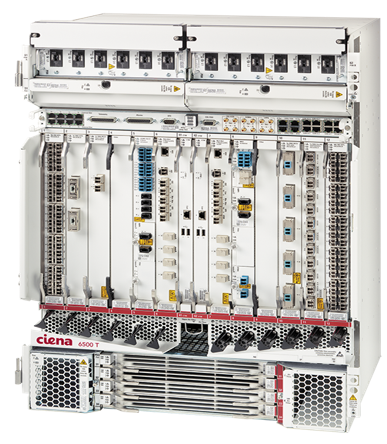 Ciena’s 6500 packet optical platform, including the new T-Series configuration, was designed to use the power of OTN to make networking easier, more efficient, and scalable. It scales to terabit per slot capacities and provides packet/OTN switching with control plane for service velocity, network efficiency, and policy adherence. Ciena 6500 future proofs the network through the separation of client and line interfaces, safeguarding against new technologies on the client or line side interfaces. In other words, the power of OTN combined with the 6500 paves the way to transition to a cloud consumption model that requires a more dynamic, flexible, and reliable optical network.